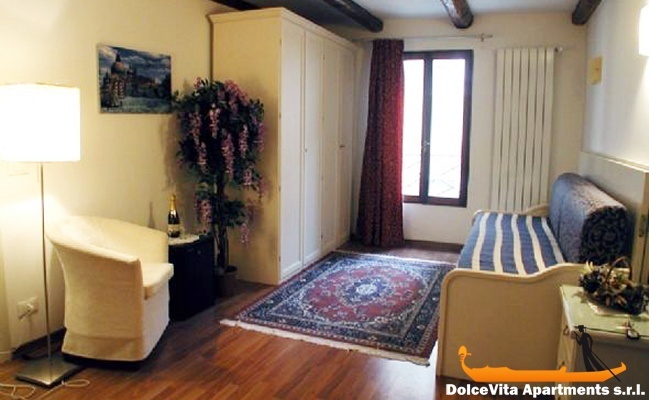 Apartment N. 18: It can accommodate up to 5 people, it is rented from 120 € per Night (not per person). 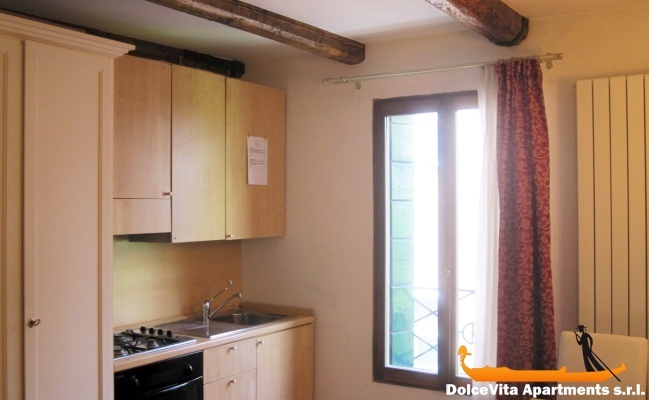 This nice apartment in Venice is located on the third floor of a historic building overlooking a quiet private courtyard; it was restoring in 2010 and it is composed by two double bedrooms, one of which has an extra bed, living room with kitchen and bathroom. The wooden beams give a feeling of warmth and intimacy. It is equipped with all amenities including air conditioning in the bedrooms, free wi-fi and satellite TV. Located in one of the most authentic part of Venice, out of the usual touristic itinerary but close enough to the main attraction, for example in just 5 minutes you can reach: the train station, Roma square, the Frari church and San Rocco School. St. Mark square and the Rialto bridge are about 20 minutes walking. 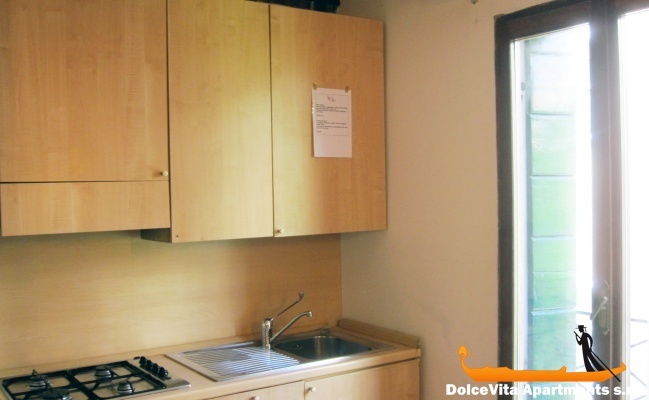 Beautiful apartment, convenient location, very clean, refrigerator shoddy and the tv did not take Italian channels. However much satisfied. The apartment is clean, pleasant and well located. Only some defects: the noise of ventilation in the bathroom, the kitchen poorly equipped. But the rooms are very nice with comfortable beds. Reception was very nice. I liked the spaciousness of the apartment and rooms. The bathroom is a bit small, and electrical accessories such as toasters and hair dryers are not plug compatible with the electrical system and therefore can not be used conveniently. it would be great a sofachair in the central room in order to have a resting place for the group. 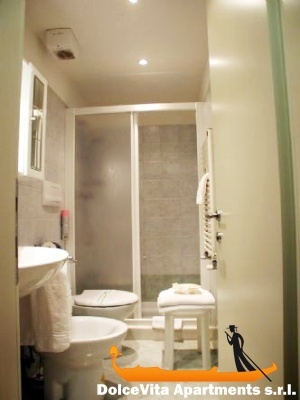 What we liked during our stay in this apartment was its location, cleanliness and roominess.